Science Fair Projects - How do sample sizes determine accuracy? How do sample sizes determine accuracy? This science fair project was conducted to ascertain if increasing the sample size of participants in a survey can produce more accurate results. The science fair project was done by determining the number of left-handed persons among 100 participants, 200 participants, 300 participants, 400 participants and 500 participants. As the number of participants increase, the results of the survey will be more accurate. 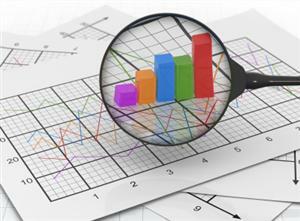 Statistics is the mathematical science of making use of data collected from experiments or individuals. It involves the process of collecting required data from surveys or experiment results, analyzing them and interpreting the data. A person who is well versed in statistical analysis and theapplication of data is called a statistician. The researcher performing the survey decides the size of the data sample required. Normally, the larger the sample size, the more accurate the resultswill be. A smaller sample size will produce a less accurate result. The chosen sample size will also depend on the amount of time available for data collection, the budget and the accuracy of the result required. The accuracy of the result will also depend whether the selection of participants is carried out in a truly random fashion. Choosing a pool of participants who are biased will only produce one-sided results. In this case, a larger sample size may not produce more accurate results.